Over the last 5 years or so I've had various friends and family from outside of Canada visit me here in one of the most beautiful cities in the world – Vancouver, BC. Often with only 1-2 days to spend in town, each visitor almost always asks for a day of site-seeing around town and, over the years, I have managed to come up with what I and others (or so I have been told) believe is a pretty good walking tour. 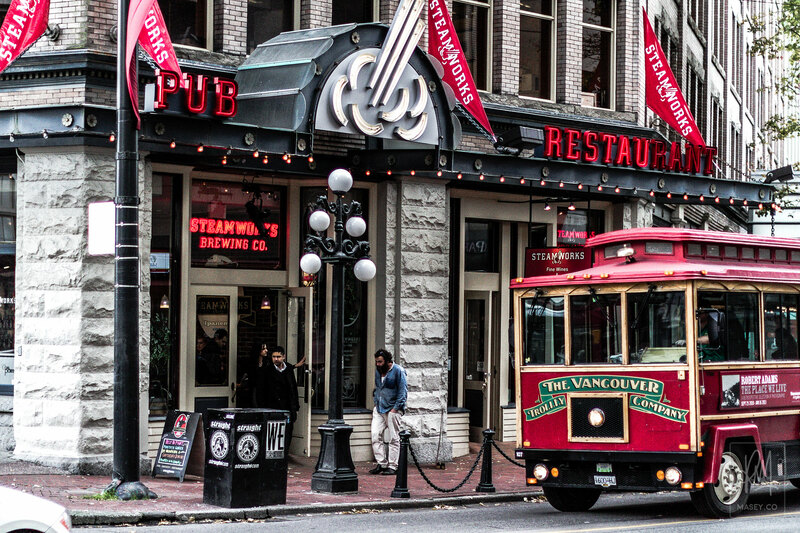 The following locations/attractions are pretty much all free and act only as major stops of note on this walking tour of Vancouver which starts off in the picutresque Gastown precinct and finishes on Granville Island. There's so much more you can and WILL see between these spots of interest, so make sure you bring your camera with you! As you can see from the summary trip map below, each spot is pretty easily accessible from the one proceeding, so you shouldn't have any trouble finding your way around. It's a fairly long day during which you cover a pretty large distance on foot (roughly 7miles (11km)), so your fitness level is going to want to be good-to-better-than-average. Capiche? Of course, I don't expect you to remember the route and/or the spots you should be looking out for along the way, so I have spent some time creating a printable and sharable guide on a neat website called Jauntful. 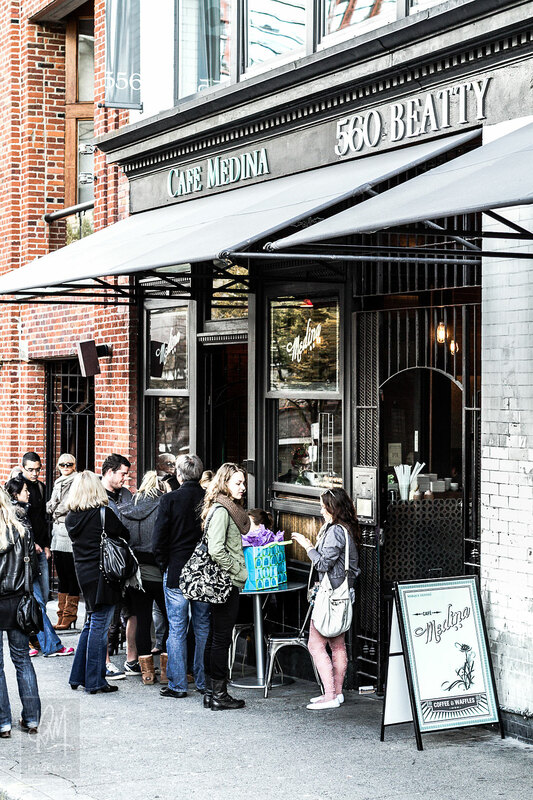 PLEASE NOTE: Since I wrote this entry back in 2010, it appears that Cafe Medina has now moved to a new location on Richards Street. While still a wonderful place to grab a pre-walk bite, you may now have to look for an alternative place to fuel up in Gastown. If you find a great spot, please let everyone know in the comments section below. 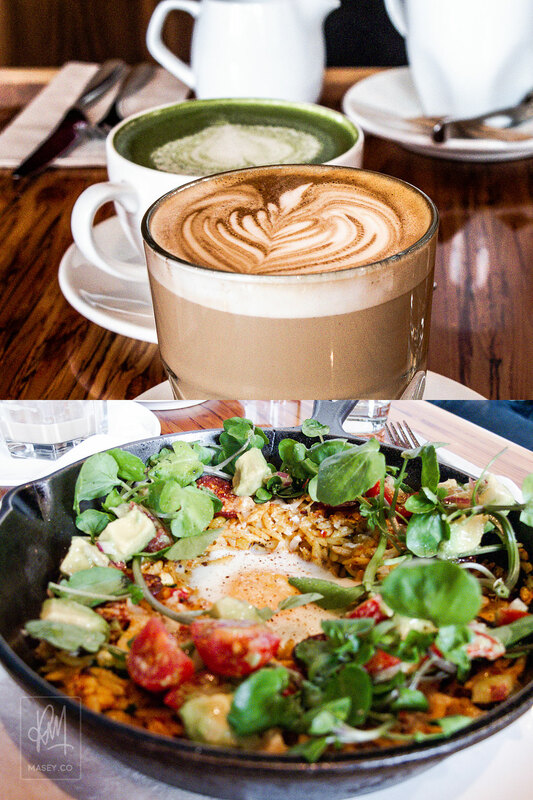 Kick off your day with a hearty breakfast at Medina Cafe on Beatty Street – definitely one of the best breakfast/brunch spots in Vancouver. Get there early or be prepared to wait outside in line for a spell... the secret's out. Try Medina Cafe's Paella – "One baked egg, curried orzo, hungarian chorizo, zucchini, red pepper, roast corn, grano padano, avocado and tomato salad." It's a WINNER! The brunch lineup at Medina Cafe. Tasty coffee and food on offer from Medina Cafe. 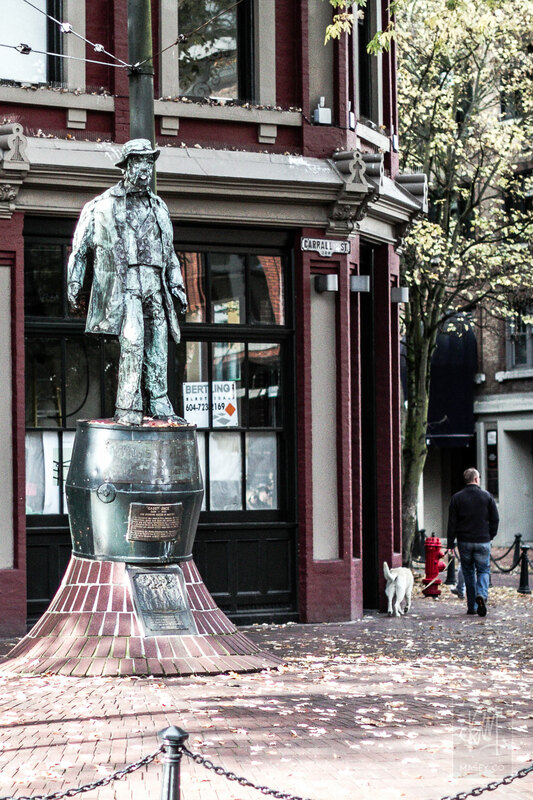 Leaving Medina Cafe, head about 3 blocks north-east to the eastern end of Gastown to the statue of Fraser River pilot turned saloon keeper – Capt. John "Gassy Jack" Deighton. 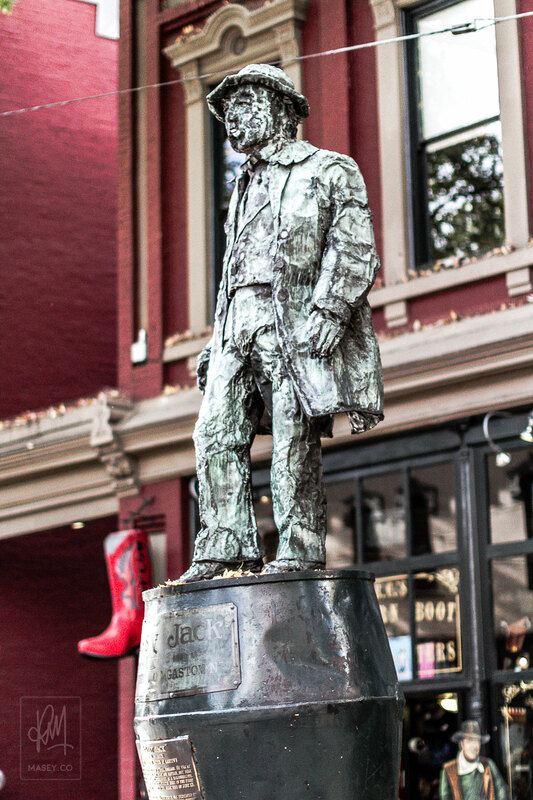 Considered the founding Father of Gastown (which later became incorporated as the City of Vancouver), Gassy Jack’s statue fittingly marks the start of your walking tour in the spot where the city of Vancouver began. 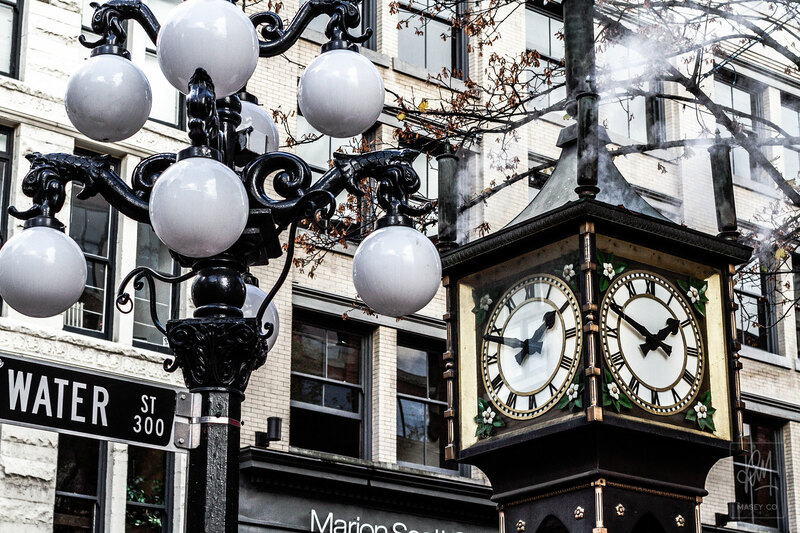 Heading west along the cobblestones of Water Street, you'll eventually reach one of Gastown and Vancouver's most beloved monuments on the corner of Cambie and Water Streets – the Gastown Steam Clock. Undergoing a complete restoration over the years the four-faced clock is now listed as a heritage feature, and is promoted as such. There’s every chance that you’ll arrive in time to hear the clock announce the quarter hour with a cloud of steam and whistle chime that plays the “Westminster Quarters”. The whole shebang is somewhat underwhelming if you ask me, but hey, the hoards of tourists that gather to witness the spectacle hour after hour seem to take some delight out of the display, so who am I to judge! The strangely popular Gastown Steam Clock. Continuing along Water Street you'll arrive at one of Vancouver's most popular micro-breweries, the Steamworks Brew Pub, where you can enjoy any of the hand-crafted ales and lagers brewed on-site. If it's in season and a hearty dark brew is your thing, then I can recommend a cold pint of Steamworks' "Coal Porter". It's every bit as smooth as suggested! The Steamworks Brew Pub Water Street entry. Exiting Steamworks (if you end up sipping on a brew), you'll notice Waterfront Station right in front of you. 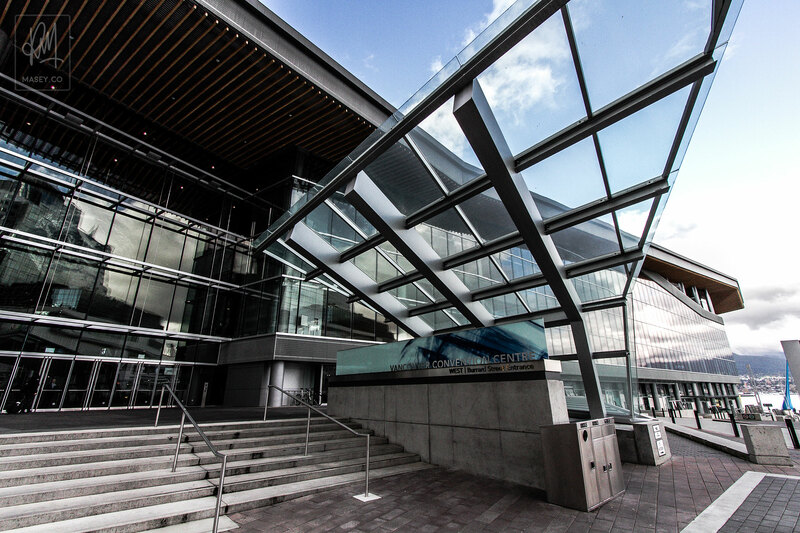 If you walk towards the station and continue past it heading West sticking to the water's edge, you'll eventually arrive at Vancouver's Convention Centres – the old and the new. You can't miss the iconic sails of the old version, while the new structure, having served as the press centre for the 2010 Winter Olympics, is worth wandering through if permitted. Popping out the end of the new Convention Centre, you'll arrive at the 2010 Vancouver Winter Olympics cauldron. More than 12,000 people had the chance to carry the flame that lit this impressive structure throughout the memorable games in early 2010. 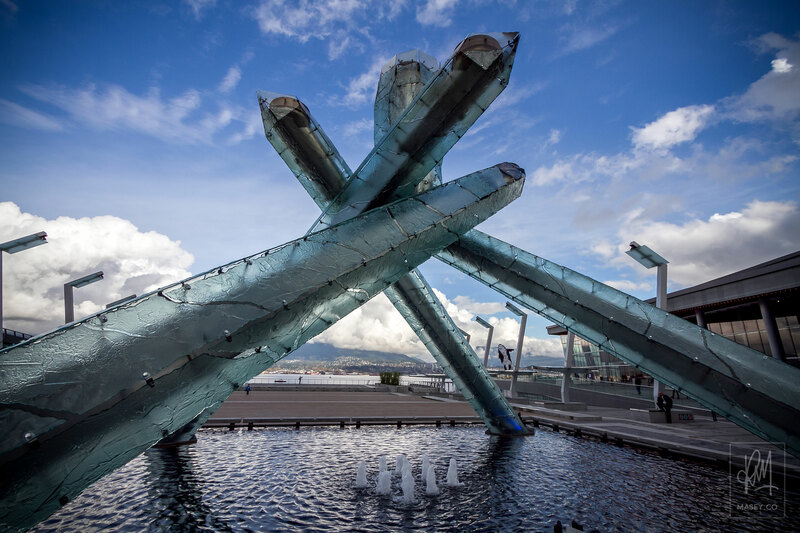 The 2010 Vancouver Winter Olympics cauldron. 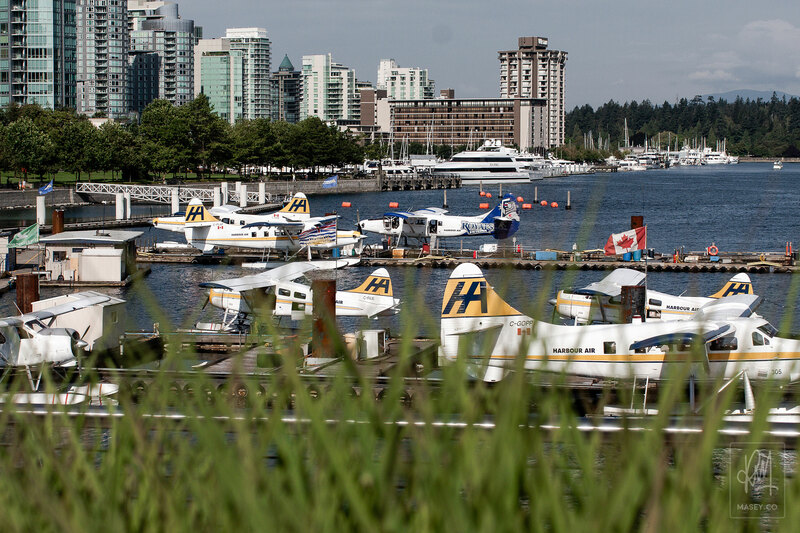 Dropping down the stairs back to water level, you'll have the chance to view Harbour Air's impressive and often bustling seaplane airport. 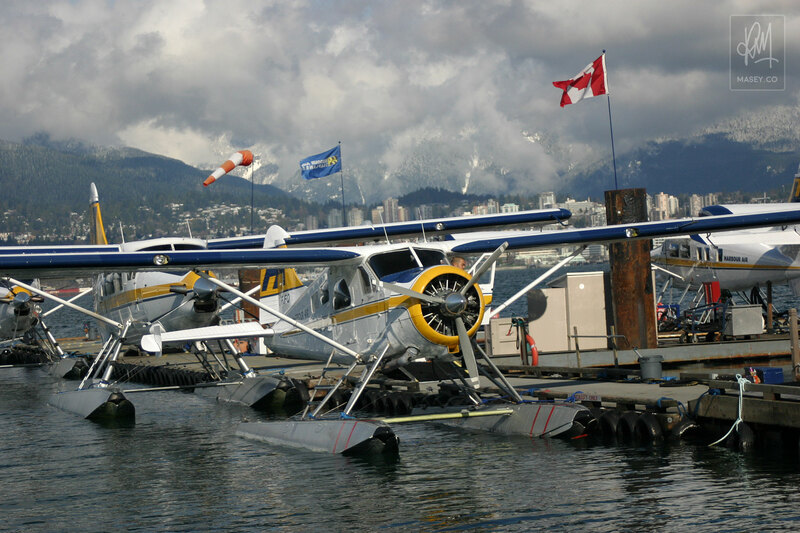 With over 25 years of service and more than 30 aircraft, Harbour Air is the (self-proclaimed) largest all-seaplane airline in the world. An elevated view over the Harbour Air dock. Up close with Harbour Air's fleet. 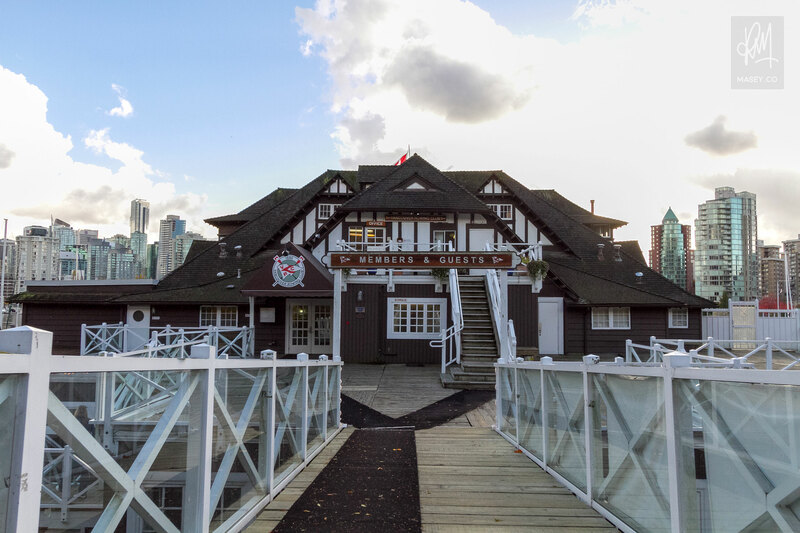 Following the sea wall, which you are now on, along towards the beginning of Stanley Park, you'll eventually arrive at the iconic heritage building perched over the water that serves as the Vancouver Rowing Club. Established in 1886, the rowing club offers decent photographic opportunities any time of the year. 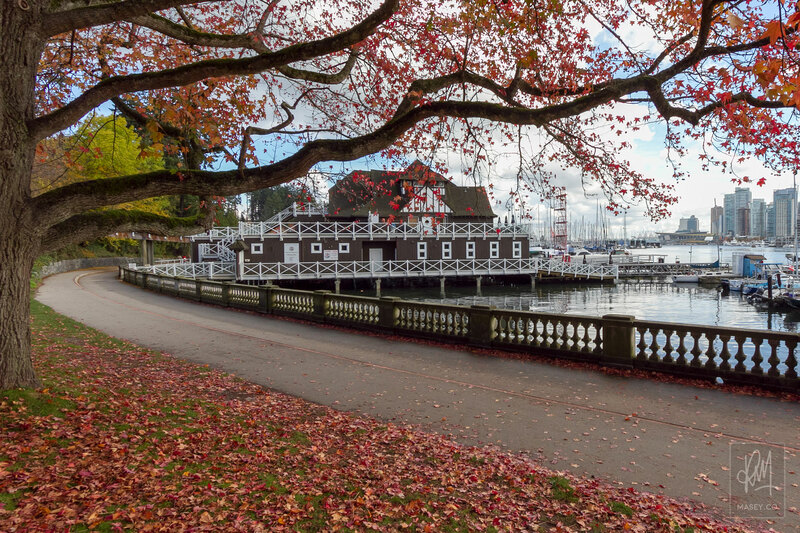 The picturesque Vancouver Rowing Club. 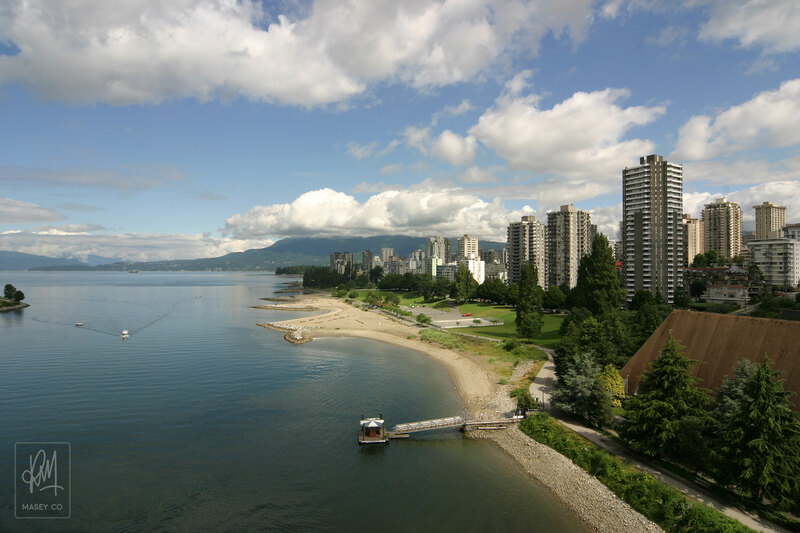 Following the scenic sea wall path for a distance, you'll eventually arrive at Stanley Park's, and perhaps one of Vancouver's, most visited tourist attractions. The series of 8 totem poles at Brockton Point each have their own story to tell supported well by descriptive signage. 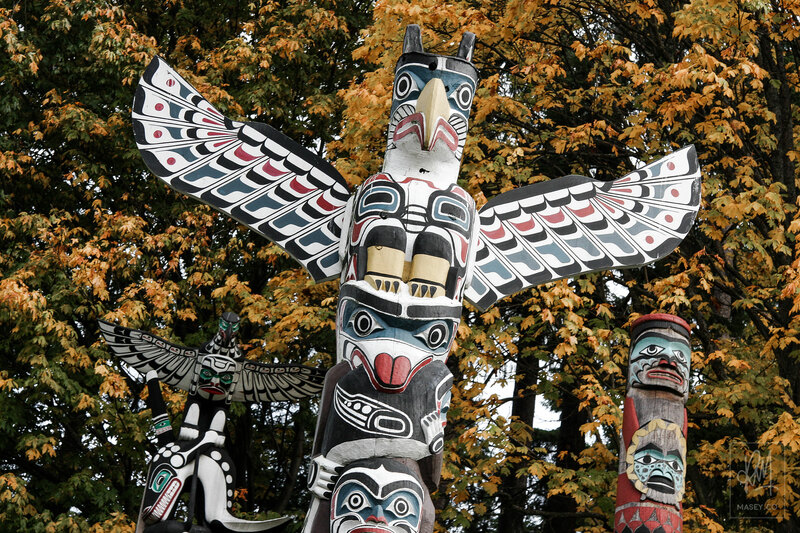 The striking Totem Poles at Stanley Park's Brockton Point. 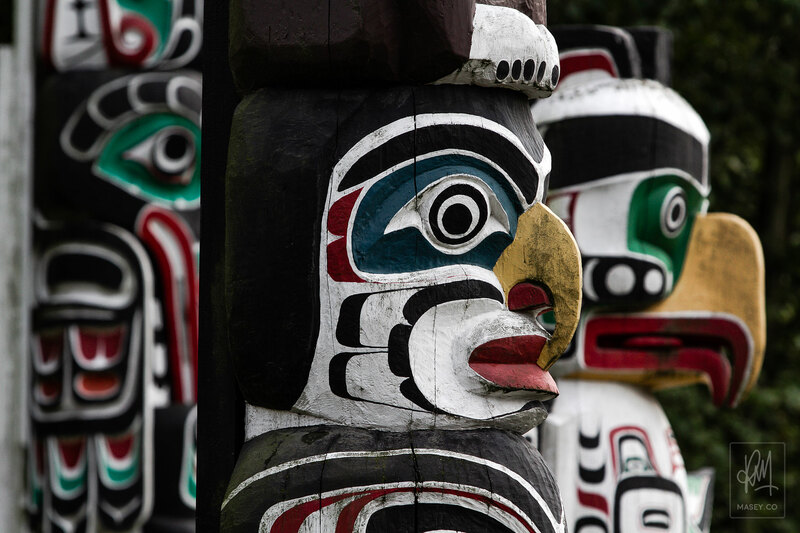 Passing straight through the Totem Pole monument area you'll arrive back on the sea wall which you should head left on. You'll eventually arrive at a kid's water park which is where you will leave the wall and head into the interior of Stanley Park. The first landmark you'll arrive at is Lumbermans Arch – a timber-and-stump archway that replaced the original Lumbermen's Arch built by lumber workers for a visit by the Duke of Connaught to Vancouver back in 1912. The arch also marks the beginning of a tree grove which, in the Fall (Autumn), is quite possibly one of the most beautiful locations in Vancouver. 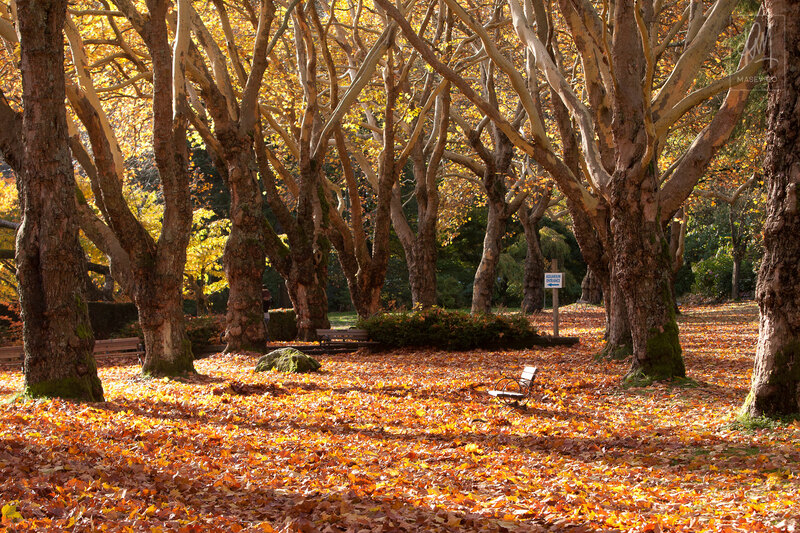 The tree grove right near Lumberman's arch is something to behold in the Fall. 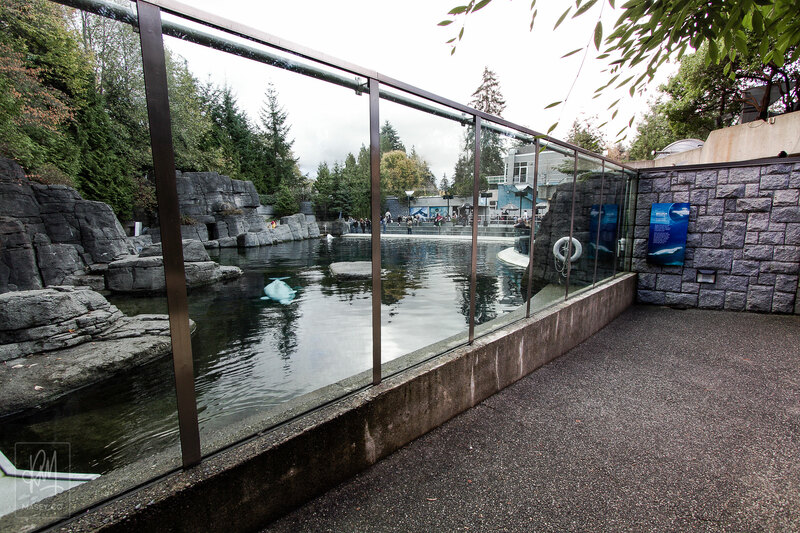 At the end of the tree grove, on the western side of the Aquarium just south of the Japanese Canadian War Memorial, you'll find a pathway that takes you down into a free viewing area where you can get a great and FREE look at the Vancovuer Aquarium's main attraction Beluga Whales. Time it right and you almost get the best seat in the house for the 2pm show. Keep your eyes peeled for this free viewing area of the Vancouver Aquarium. 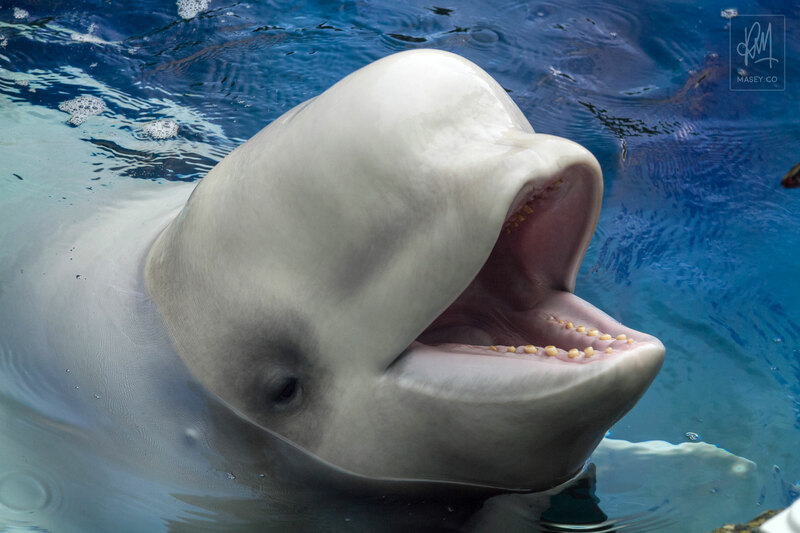 And keep an eye out for this friendly Beluga! 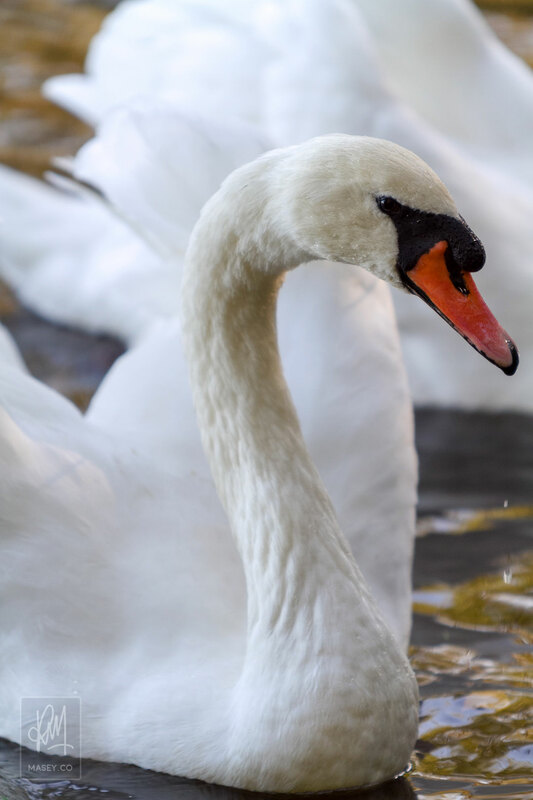 Leaving the Aquarium, you'll want to follow provided signage towards nearby Lost Lagoon – easily one of the best spots in Stanley Park to come face to face with a wide selection of wildlife from ducks and swans, to squirrels, bald eagles and raccoons. 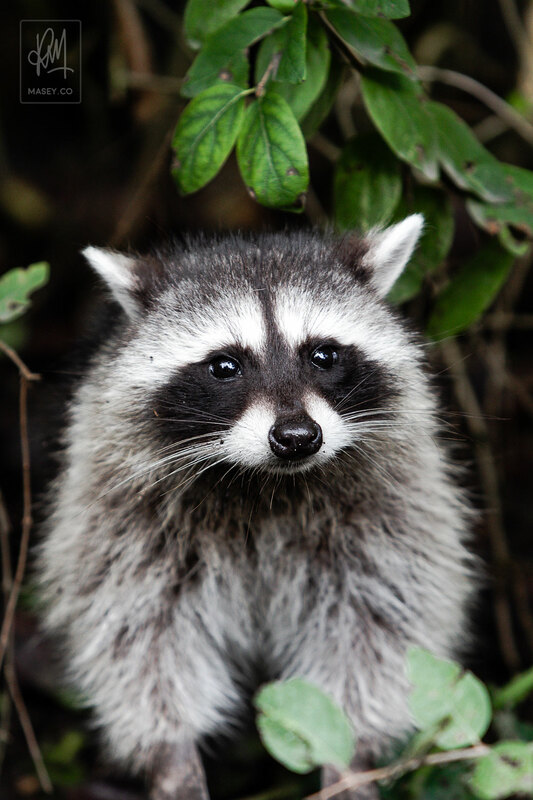 HOT TIP: You're almost guaranteed an encounter with raccoons near the bridge at the western end of the lagoon. 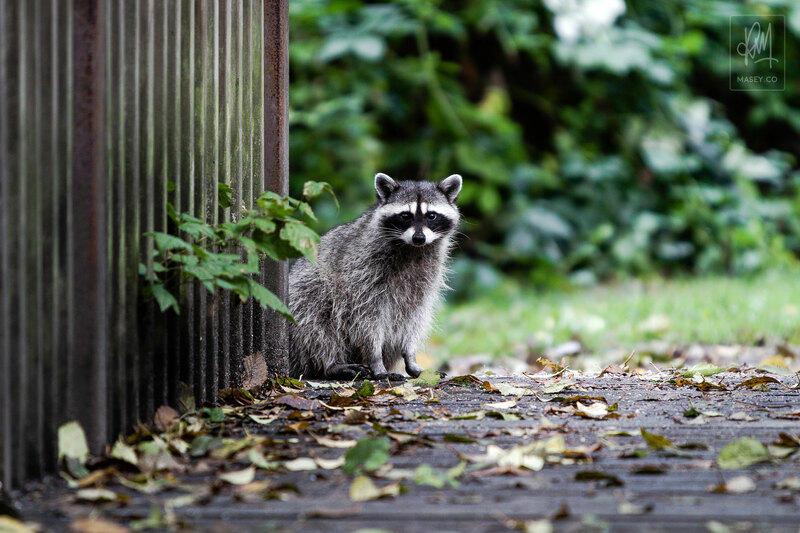 You're almost guaranteed an encounter with raccoons near the bridge at the western end of the lagoon. Leaving Lost Lagoon and whatever critters you found there, make your way back to the water and the sea-wall. 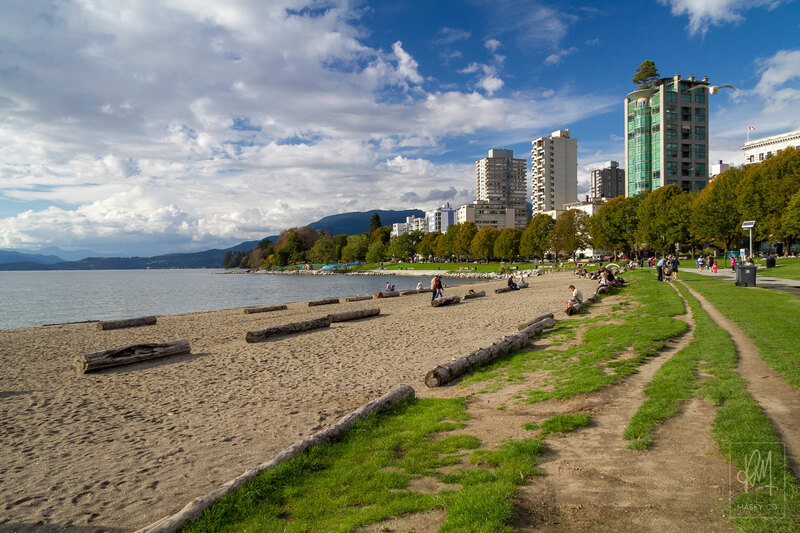 At the south-eastern end of Stanley Park's section of sea wall lies one of Vancouver's most populated beaches – English Bay Beach. Get some sand between your toes, take a dip, or just take a seat and indulge in some people watching as a diverse crowd of individuals pass by. Vancouver's place to meet - the main beach on English Bay. 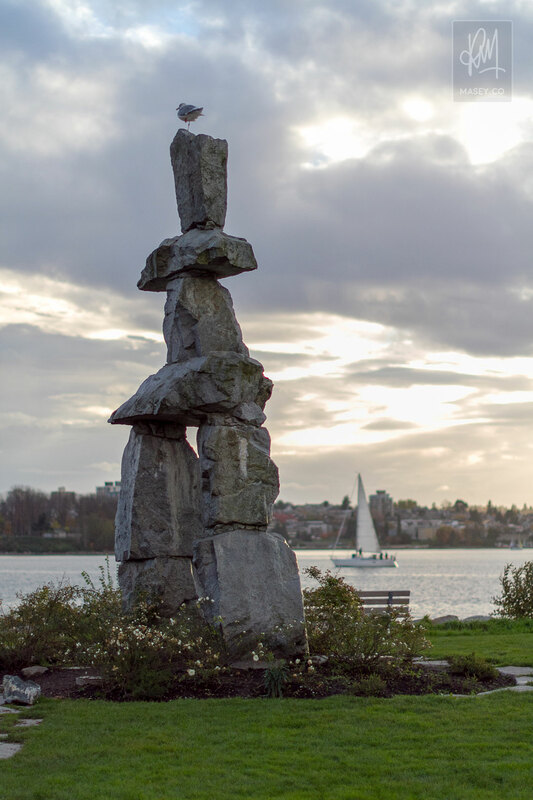 Continuing along the sea wall towards False Creek, you'll arrive at the English Bay Inukshuk. 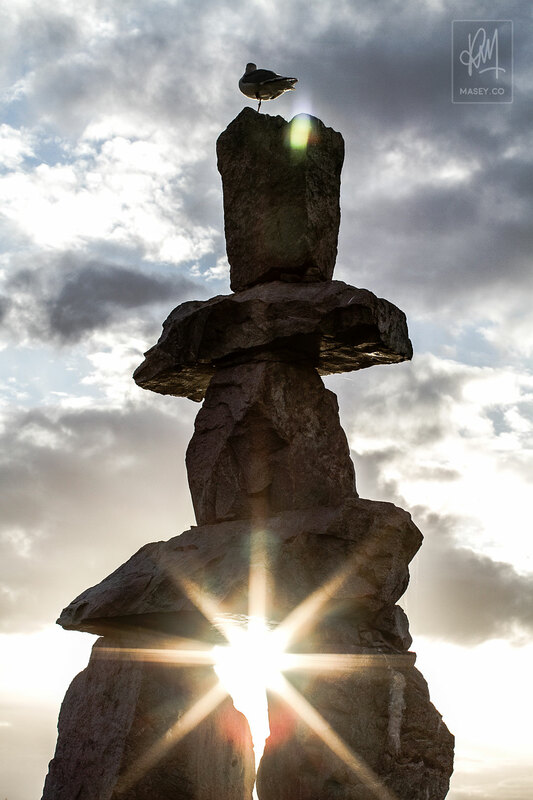 This ancient symbol of Inuit culture was positioned on the point at the mouth of False Creek in 1987 and was an iconic monument during the 2010 Vancouver Winter Olympics. Heading in the direction of the Burrard Bridge, you'll come to the Aquatic Centre Ferry stop. 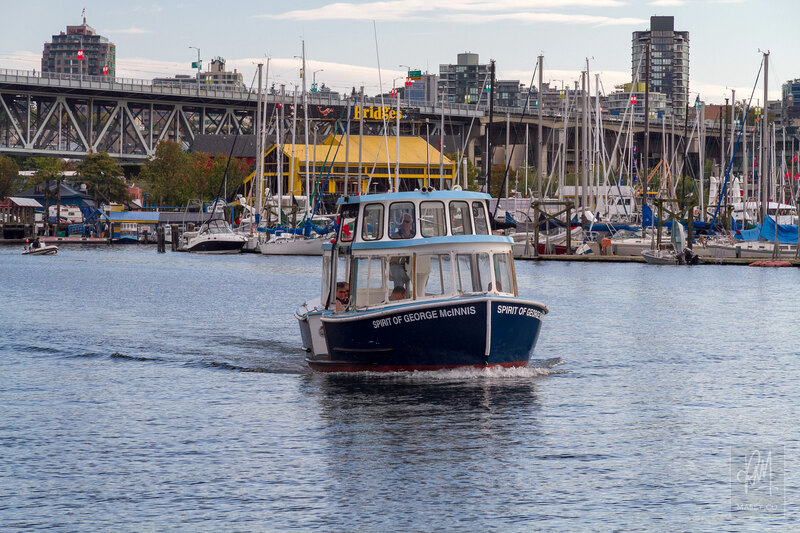 One of the quickest and most scenic ways to travel from the sea wall on the northern shore of False Creek, across to Granville Island is via one of the cute little False Creek Ferries. The ferry terminal is right out back of the Aquatic Centre. And the False Creek Ferries you ride across the water are just the cutest! Granville Island is easily one of Vancouver's best locations for wining, dining, shopping and just a neat spot for general site-seeing. Grab a freshly brewed beer at the Granville Island Brewery while you look over photos from your day's journey, or grab some fresh produce from the bustling public market. 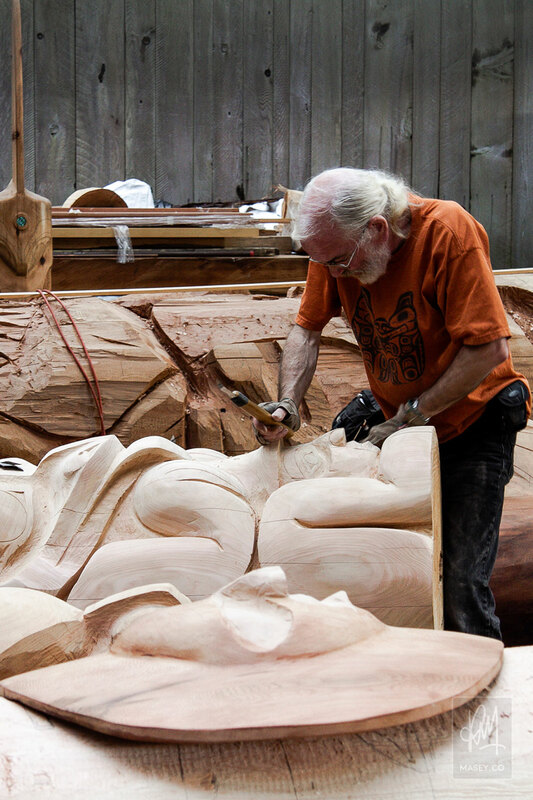 There's plenty of arty things to see and do on Granville Island. 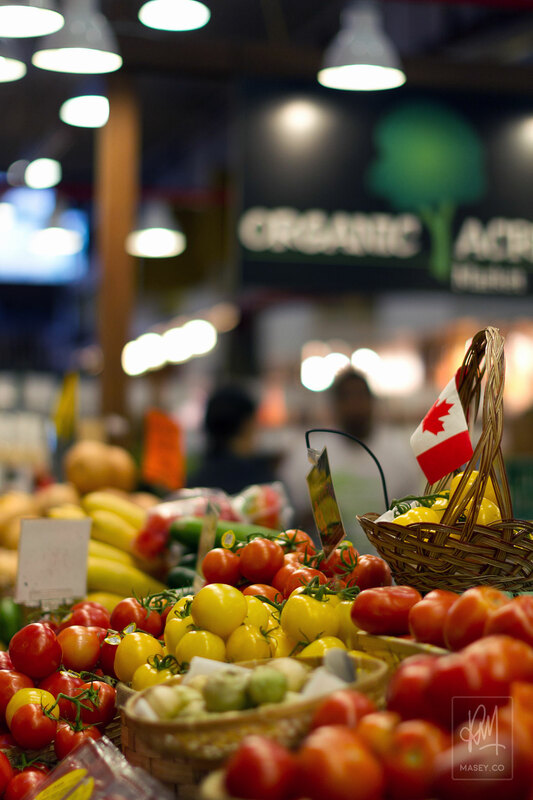 Granville Island is perhaps best known for it's awesome Farmer's Market. Arriving at Granville Island you will have officially concluded my walking tour of beautiful Vancouver, the same tour I have shared with a number of Aussie and other overseas visitors over the years. If you do happen to get out there and take in even some of the sites I have suggested above, I hope you have a fantastic day exploring!